Some of these debuted at the Medievalist's Congress a few weeks ago, but took a while to wend their ways through other channels. Ordering and format details are at the bottom of this post. Good horror stories are among the great rarities of the publishing world. We are fortunate in having this thrilling narrative unfolded by J.U. Nicolson, whose rich imagination has produced such volumes of poetry as “The King of the Black Isles” and “Sonnets of a Minnesinger,” and whose already well developed ability to spin a tale was sharpened during the long years he spent on his monumental modern English version of Chaucer’s Canterbury Tales. It is with good reason, then, that we expect Fingers of Fear to take its place beside such great horror stories as Dracula and The Turn of the Screw. 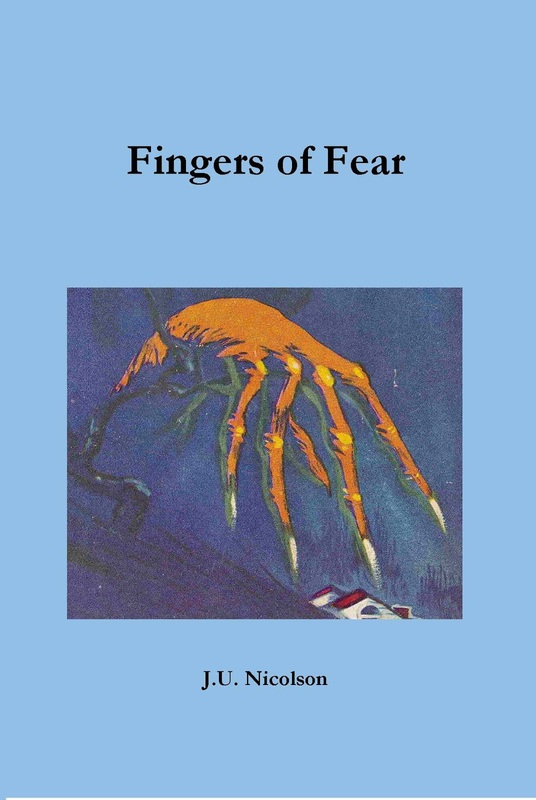 I introduced the 2001 Midnight House limited edition reprint of Fingers of Fear, and have updated my Introduction for this new edition. J(ohn) U(rban) Nicolson (1885-1944) was a Chicago warehouse manager with literary interests. Fingers of Fear (1937) was his only novel, a precursor to the melodramatic horror of the 1960s like the television show Dark Shadows. Next up is Monk's Magic, originally published in 1931, a delightful precursor to Mervyn Wall's Fursey books. 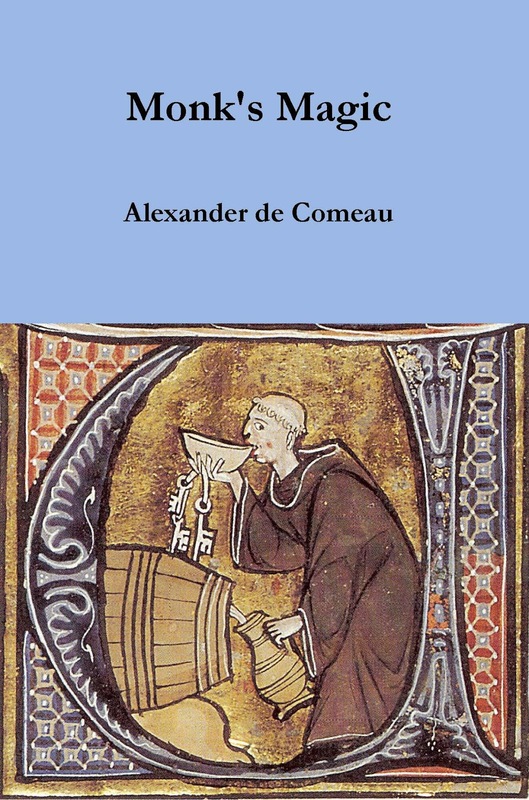 Monk’s Magic, by Alexander de Comeau, tells the story of Brother Dismas, who works on behalf of his Abbott, stealthily studying the black arts (he has been absolved in advance for his sins), trying to discover the elixir of life. After many failures, Dismas ventures out into the world to find those previous and successful fellow-seekers who must surely still live. Dismas acquires some marvelous friends and grows up during his quest. The tale is Rabelaisian in the best sense, witty and well-written. 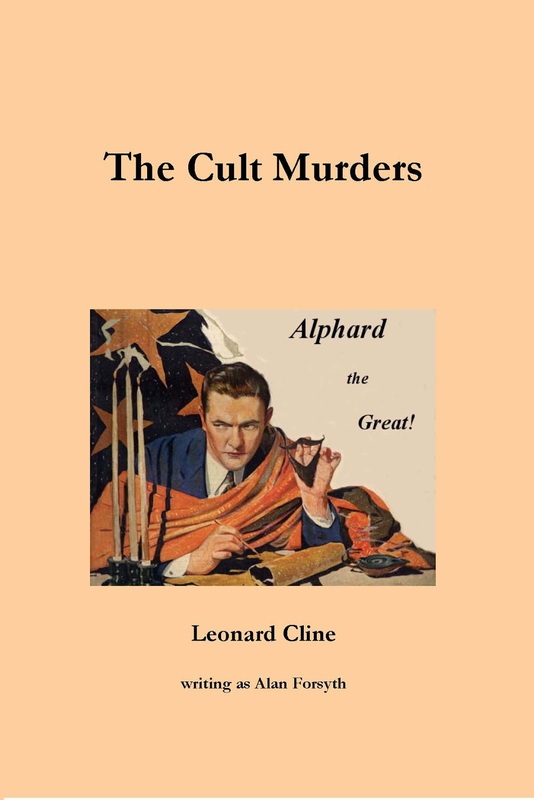 And third up is a forgotten pseudonymous pulp thriller by Leonard Cline (1893-1929), author of two brilliant books God Head (1925) and The Dark Chamber (1927). The Cult Murders originally appeared in Detective Fiction Weekly in the summer of 1928 and now appears in book-form for the first time. Not to be compared with Cline's higher quality work under his own name, his pseudonymous pulp thrillers are best read solely for entertainment. Lady Stanhope’s Manuscript is, beneath all of the genre trappings, the wisest and most profound book that I have read in quite some time. The full review, which is perceptive and worth a read, can be found here. Trade paperback edition ($16.00) sold via Amazon (and European affiliates) ISBN 9781987626629. Amazon.com at this link. Amazon.co.uk at this link. Trade paperback edition ($16.00) sold via Lulu, at this link. Kindle edition, sold via Amazon and affiliates. Trade paperback edition ($16.00) sold via Amazon (and European affiliates) ISBN 9781987508826. Amazon.com at this link. Amazon.co.uk at this link. Trade paperback edition ($16.00) sold via Amazon (and European affiliates) ISBN 9781987574760. Amazon.com at this link. Amazon.co.uk at this link. Trade paperback edition ($16.00) sold via Lulu, as this link. 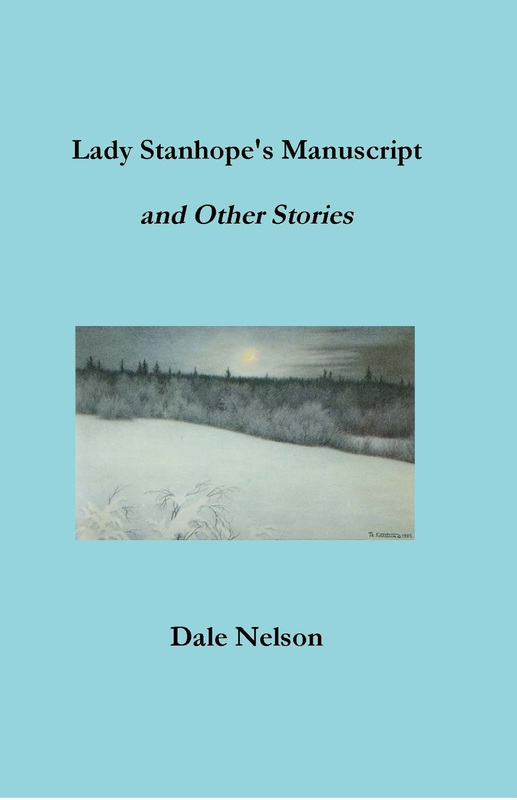 Lady Stanhope's Manuscript and Other Stories, by Dale Nelson. Hardcover edition ($35.00) limited to fifty copies, sold only directly via Lulu, at this link. Trade paperback edition ($16.00) sold via Amazon (and European affiliates) ISBN 978-0615677347. Amazon.com at this link. Kindle edition, sold via Amazon and affiliates. Amazon.com at this link. Labels: ANDERSON Douglas A., CLINE Leonard, DE COMEAU Alexander, FORSYTH Alan, NELSON Dale, NICOLSON J.U.